Just like the Cobbler's kids... this is a work in progress. Currently I've promised my friend Erin I would pull some palettes together based around a couple of area rugs she likes. I did one pass back in February and told her I would do more, but have yet to return to that. Last night a coworker and I went to see about a potential side job, that wiped out that night. I returned home to only find my dog, as my fiance was out at a meeting for a side job of his own. I sat down for a gourmet dinner of cereal and a glass of wine. Tonight, I'm even cutting this blog post short. I commend people with children who have full time jobs, I don't know how you do it! Must. Make. Time. To Blog! I just read about a company started locally by two women who are into design and obviously curating a collection of furniture and accessories that is very of the moment. 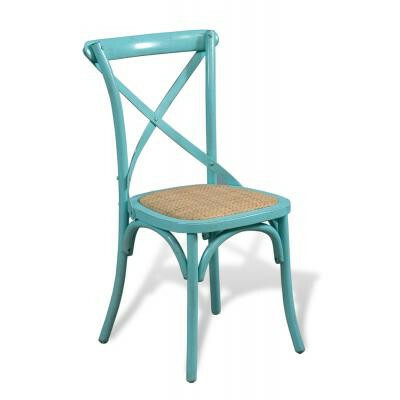 It is kind of that shabby-chic turned bold and graphic, similar to a Jonathan Adler style. The company they started is Priley Lane. And if you can afford it, go for it! I find it pricey. But I do find it as good inspiration for some DIY. One unique feature they have is their Bespoke line. You can customize a piece with any color. They use Benjamin Moore, but will work with any of the major paint lines out there. 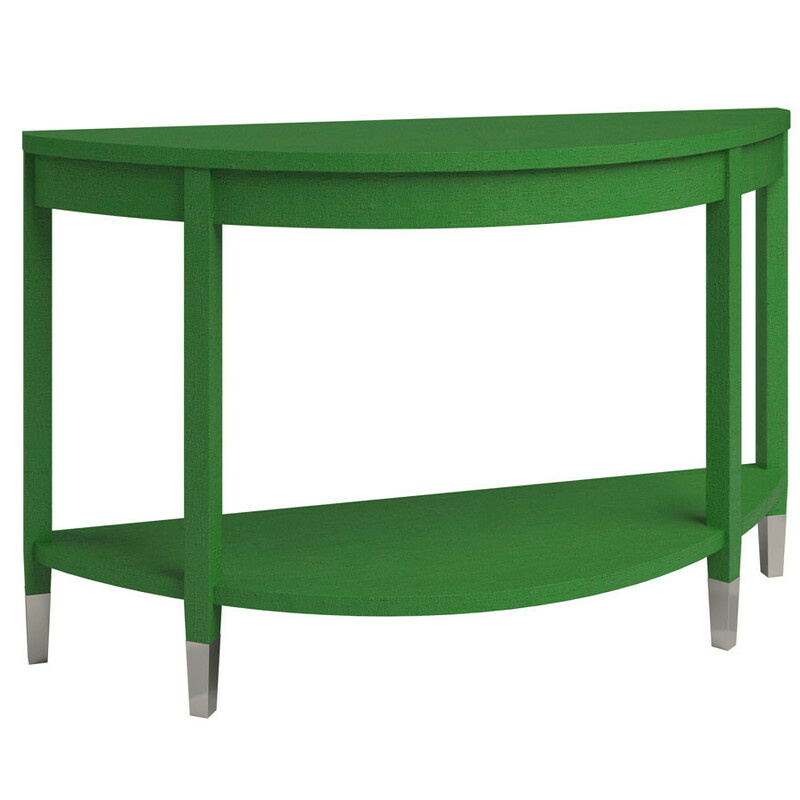 So if you're yearning for an end table in Fresh Cut Grass, (2026-5) they can make it happen. Also, their Bespoke line is made locally with a furniture maker out of Waltham, according to Daily Candy. Points for reduced carbon footprint! Room and Board just announced better delivery rates in the Boston area--$89. Sigh. We can dream that we can afford this stuff, right? Well, if it's something you really want, it's not completely unattainable. And, they do have some relatively affordable items... Like this convertible grown-up futon the Eden for $999. (Not too much with that one, but big plus it converts. And of course it's pretty adorable). Or the very practical, York sofas starting at $1099. But IKEA Is still the cheapest even when delivery is $129, and you can score an L-shaped sofa that converts to a bed for under $850. Who are we kidding?--if we're trying for the best deal we're finding the friend with the biggest vehicle, taking the minimum half day trip, and playing clown car with the oddest shaped boxes in the parking lot. Don't worry it will all fit! (Well, there's always delivery). Well, I keep saying I will start blogging, and why not today? This day celebrates several, or at least one of the most famous go-getters out there. Perhaps this will impart some good Karma to my blog and blogging endeavor. I haven't even completely figured out Blogger and how to customize it. I've added a background image and played with a font. But I told myself to stop making excuses (e.g. "I need to set aside some time to really set it up.") So here I am. If you decide to follow this, you will see the blog evolve. This is a design blog of sorts, and I am a designer. I'll design this blog along with my home, and many other projects I pick up along the way, large and small. It's all about the evolution. And it's always a work in progress--because is design ever really done? But the largest factors to blame are the lack of time, the lack of motivation, and sometimes life just taking over with its own plans. So while I, and most likely you, follow and enjoy so many other blogs that are all about amazing DIY projects and design inspiration, this one will have a little slant of reality. It will be a little about the struggle to make time, to save money up, to conjure up the creativity and motivation; and a lot about what comes from that. Because a tight budget, the free time outside of a 40-50 hour work week, and the gumption we find naturally often leads to a type of creativity a lot of us can appreciate. I'll share what I've found in life, and as a designer designing in the real world. And hopefully I'll gather a following with a variety of backgrounds and something unique to offer as well--all united by notion it is just so hard to find the time! It's a struggle, but we can do it. Maybe taking a moment to think on the accomplishments of our founding fathers will help light a fire for you. Or, if you're like me and can't relate so well to starting a revolution or a country, maybe this simple little blog post will. Here goes.